We have huge shopping malls around us. While many of the popular stores and consumer brands in US embrace solar power, we seem to be more laid back about it. Even the US-based IKEA in Peninsula Malaysia have not initiated anything similar to what their sister stores back home did. 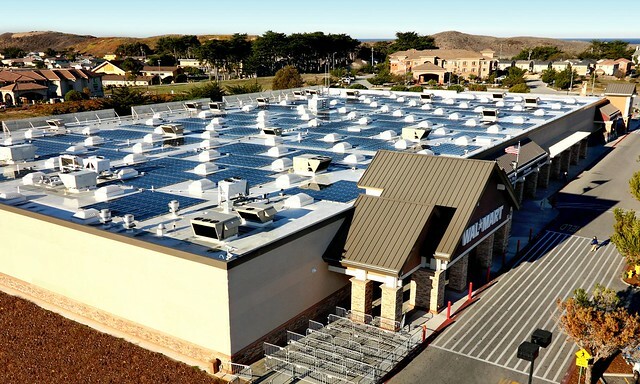 A recent report from the Solar Energy Industries Association (SEIA), in conjunction with the Vote Solar initiative, offers a snapshot of some of America's biggest companies and their varying committments to commercial solar installations. Energy costs make up a significant chunk of a business's operating expenses. A solar PV system helps to reduce these costs, improve the bottom line and allow a company to focus more energy and financial resources on their core competencies. 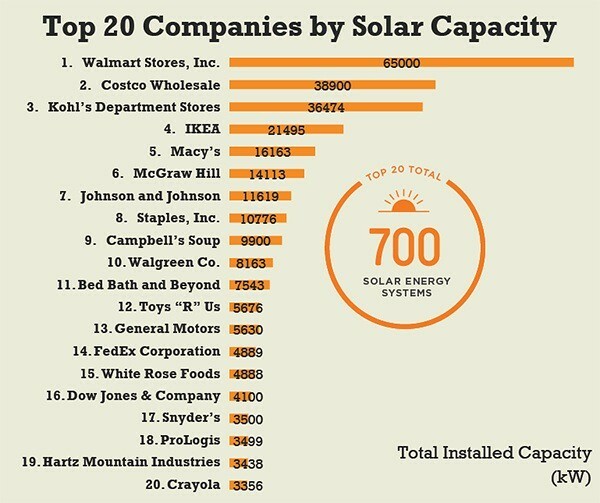 Fascinating to see this breakdown of companies who have invested in solar power. Some of the names were quite surprising. Great post! There will come a day where this will be on every home and business in America. I hope it comes within the next 20 years.